Looking for that perfect waterfall hidden inside the jungle which is unknown to the world you can join Treks and Trails India and visit the Devkund Waterfall located near Bhira Village, Devkund Waterfall is one of the most beautiful waterfalls in India. 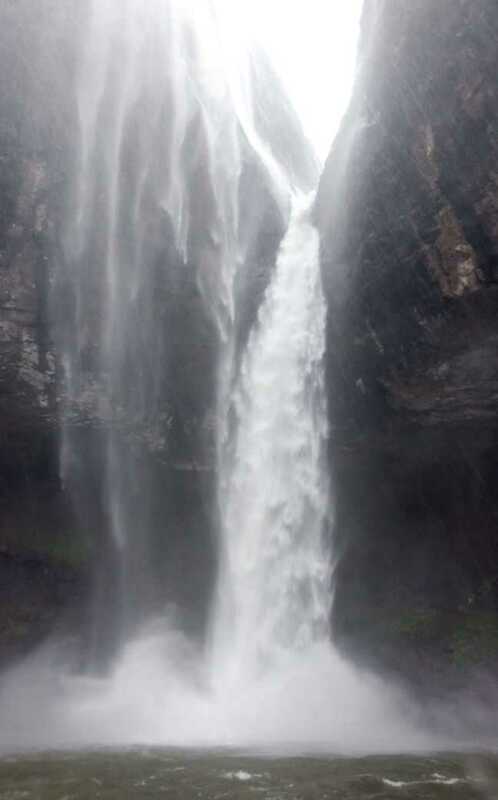 Devkund Waterfall is mostly unknown and unexplored waterfall in Maharashtra. There are very few perennial waterfalls in Maharashtra like Devkund Waterfall. Forest around the waterfall is beautiful green and dense with many species of animals and birds. Devkund keeps the spirit of monsoon alive. Your trek will lead you through many unexplored trails, trek would contain medium to easy obstacles along the way. Once you reach Devkund Waterfall you will be overwhelmed with its beauty and filled with joy. The white water cascaded down a series of rocky outcrops, giving the effect of many waterfalls rather than just one. Then it flowed on its way, nonchalant, as if nothing had occurred. Water pool under the Devkund Waterfall has crystal clear bluish green water. 09:30 pm : Reach Dadar. • Treks and Trails India Expertise Charge. • Please carry one time lunch for this event. For registration and confirmation transfer Rs. 1300.00 per person. • 50 % refund if notified via phone conversation 3 days prior to the event date.